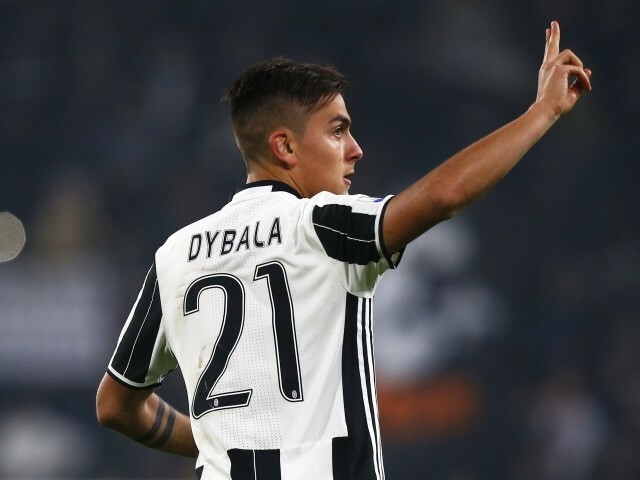 TURIN: Paolo Dybala’s second-half penalty double put holders Juventus in control with a 3-1 win over Napoli in the first leg of their Italian Cup semi-final on Tuesday. Spaniard Jose Callejon had given the visitors the lead after 36 minutes as the hosts looked out of sorts at home in Turin. But Dybala’s double on 47 and 69 minutes, either side of fellow Argentine Gonzalo Higuain’s goal on 64 minutes gave Juventus their tenth consecutive win in all competitions. Juventus, bidding for a third consecutive league and Cup double and boasting a seven-point lead over Roma in Serie A, travel to the Stadio San Paolo in Naples on Wednesday, April 5. Capital city rivals Lazio and AS Roma will play their semi-final, first leg derby clash on Wednesday. Napoli had controlled much of the first half with Callejon slotting in after good work by Lorenzo Insigne and the Arkadius Milik in breaking down the Juventus wall. But the holders equalised two minutes after the break when Dybala was fouled by Kalidou Koulibaly in the box. Higuain pulled Juve ahead as he scored from a narrow angle off a corner, with Dybala again called on for penalty duties after Napoli goalkeeper Pepe Reina brought down Juan Cuadrado.